UNG-12 - $999.00 : Tactical Imports Corp. 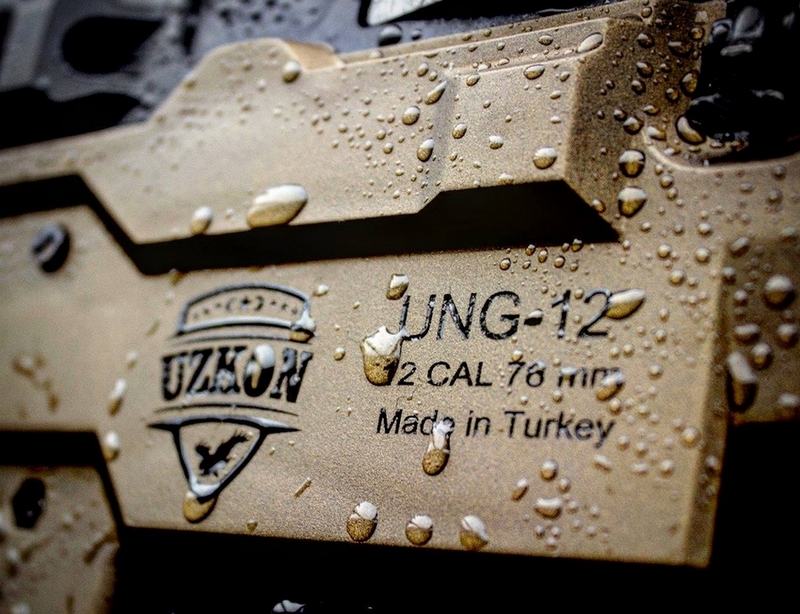 Details: Introducing the UNG-12 Tactical Bullpup 12GA Shotgun! 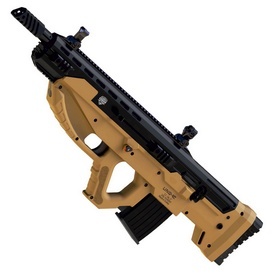 The UNG-12 is a semi-auto gas-piston operated detachable magazine bullpup shotgun. 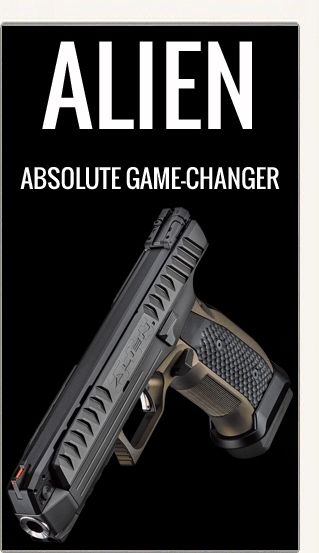 It has a 12 Gauge 3” chamber with a 18.7” barrel. 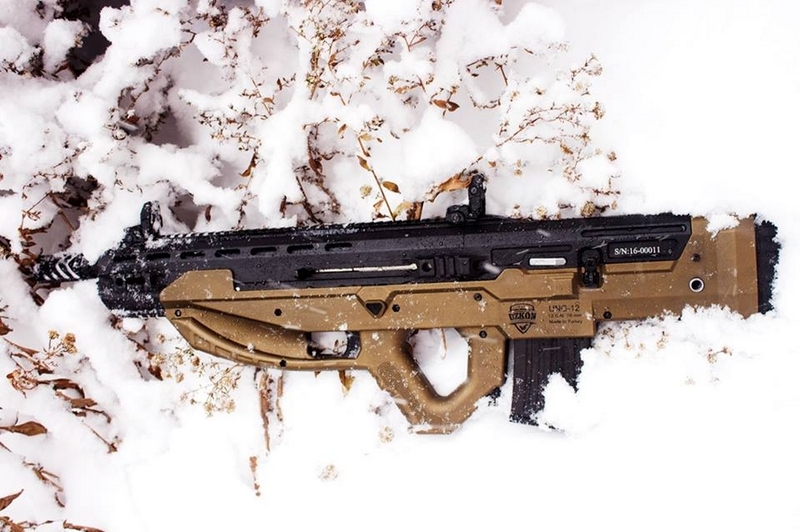 The bullpup configuration allows for a smaller overall length without a compromise in barrel length. This configuration results in a center/rear biased weight distribution, which reduces strain during long periods of use and increases transition speed in CQB and action shooting scenarios. The detachable magazine allows for easy and rapid reloading over conventional tube type systems. Magazine seating is straight insertion style, allowing for smooth and simplistic reloads. 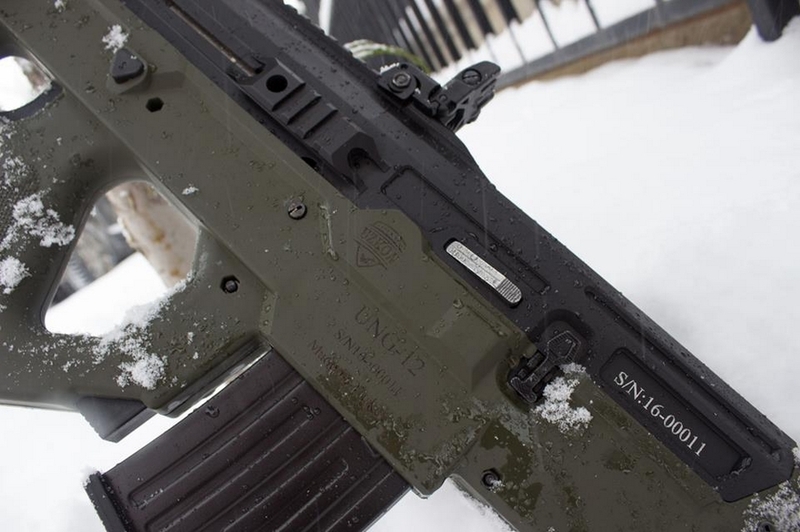 It features a monolithic top picatinny rail, Recoil Reducer Stock, left and right QD Sling Mounting Points, and side and bottom picatinny rails. 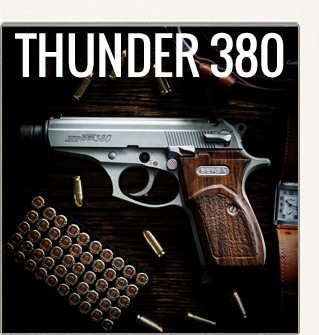 Includes ambidextrous: fire selector, magazine release, bolt release and safety lever. Upper receiver is constructed from aluminum while the lower is polymer. 4140 Steel Barrel with muzzle break and interchangeable chokes. Fast, no tools field stripping. Pre-Order ItemFall ETA. Non-Restricted class (FRT issued). 25% fully-refundable deposit. 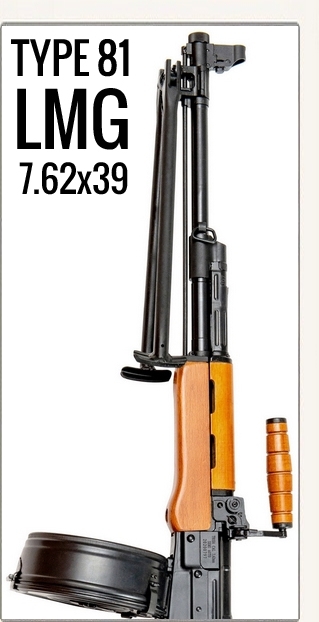 Specifications:Caliber: 12GA 3" & 2.75"